It's a classic. The 5 by 8 foot bathroom was a standard feature of tens of thousands of ranch homes built after World War 2. It's hard to beat the efficiency of this compact design, which locates the bathrooms near the kitchen, with the water heater nearby. Architect Ann Edminster was a consultant on this project by San Joaquin County Habitat for Humanity Stockton, California. Bathroom sinks are now called “lavatories.” That’s confusing, for two reasons: (1) In most of the world, “lavatory” means “bathroom,” and (2) In the U.K., a lavatory is a toilet. It seems to me that “bathroom sink” is less confusing. But it’s too late to untangle this mess. In the plumbing trade, toilets are usually called toilets. Most toilets come in two sections, the tank and the bowl. Like “vanity,” “toilet” has other meanings, including “bathroom,” “the routine of combing one’s hair and putting on makeup,” and “dressing table.” But it’s time to move on. 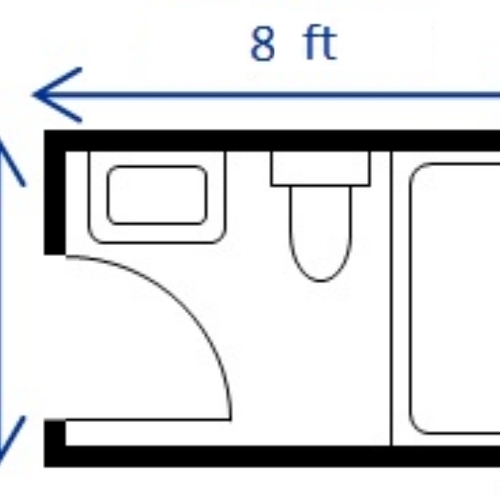 There are several ways to fit a bathtub, toilet, and lavatory into a room measuring 5 by 8 feet. Of course, if the bathroom is larger, it’s easier to get creative. Needless to say, a 5 by 8 foot bathroom won’t be accessible for people who use wheelchairs. If wheelchair access is important, plan accordingly. Tub, shower, or tub/shower unit? I like bathtubs. Families with children certainly need a bathtub for the kids. Almost every family wants to have a shower, so a tub/shower unit makes a lot of sense. If your house has plenty of room, you may want to design a master bathroom that includes a shower that is separate from the bathtub. (For those who prefer showers, a shower stall is more convenient to step into than a tub/shower unit.) Alternatively, if your house will have two full bathrooms, you might want to design one bathroom to have a tub/shower unit, and the other bathroom to have a shower stall. 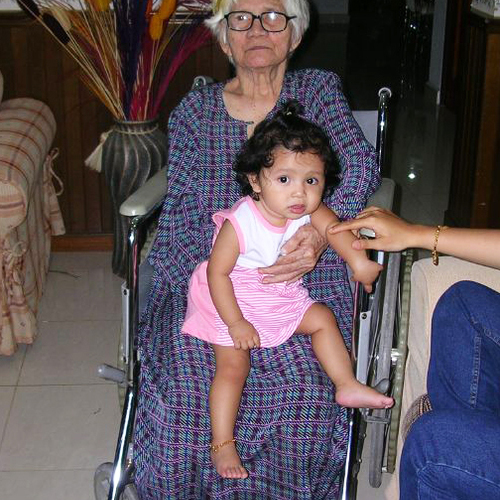 And if someone in your family uses a wheelchair, you’ll want to include a curbless roll-in shower. In most homes, there is one bathroom where most showers occur. 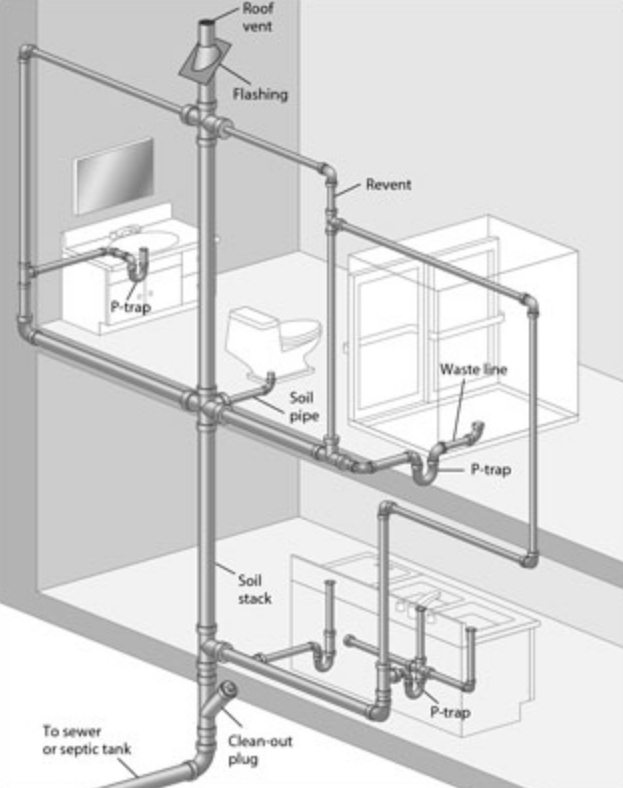 You should plan to install a drainwater heat-recovery device under this bathroom. That takes planning; it will only work if there is a basement under the bathroom, or if the bathroom is on the second floor. For more information, see Drainwater Heat Recovery Can Lower Your HERS Score. 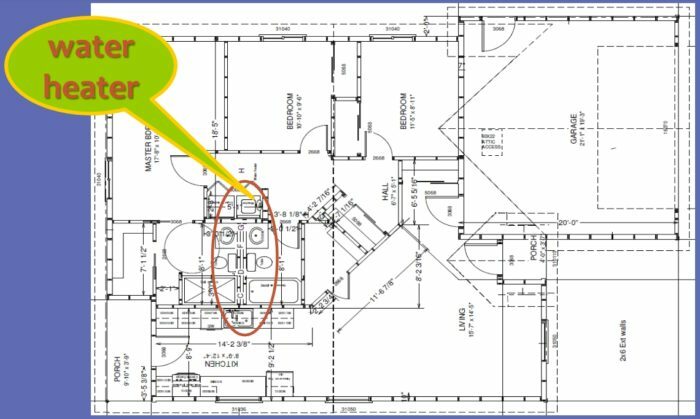 Ideally, your bathroom or bathrooms will be close to your kitchen (either vertically close or horizontally close), and your water heater will be located in a mechanical room or basement location that allows for very short piping runs (see Image #2, below). Long hot water pipes waste water and waste energy. 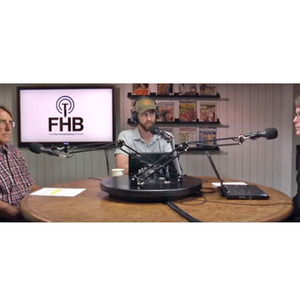 For more information on this issue, see All About Water Heaters. Even if you have no plans to install grab bars near the toilet, tub, or shower, it’s a good idea to provide blocking at the framing stage for possible future grab bars. Some bathrooms have an operable window; if yours does, that’s good. Whether or not your bathroom has an operable window, every bathroom needs to have a dedicated exhaust fan or a grille connected to the exhaust duct of a heat-recovery ventilator. Many bathrooms are dimly lit. Include good lighting to the right and the left of the mirror above the lavatory, as well as good lighting above the tub/shower unit and good ambient lighting for the entire room. For more information, see Martin’s 10 Rules of Lighting. 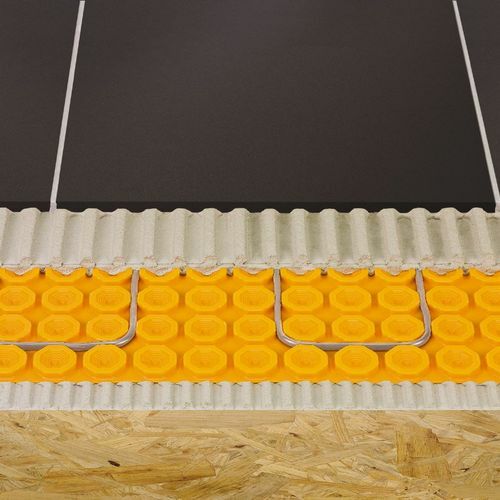 Does your floor need electric-resistance heating cables? Maybe. Since the area of the typical bathroom floor is small, this luxury isn’t as much of an energy hog as you might think. Moreover, if your home is heated by ductless minisplits, it never hurts to have some electric resistance heat available for the coldest nights of the year. Wall areas that are likely to get wet deserve ceramic tile, while wall areas that are likely to stay dry can get ordinary drywall, moisture-resistant drywall, or plaster. If your bathroom includes a combination tub/shower, you can either purchase a one-piece fiberglass tub/shower unit, or install a traditional cast-iron tub with ceramic tile on the walls. I’m a traditionalist, so I’ve always favored cast-iron tubs surrounded by tile. The bathroom of 2017 is very different from the bathroom of 1965. Many homeowners expect a master bathroom to have a nearby walk-in closet or closets. These days, a master bathroom will often have two lavatories. For those who focus more on function than luxury, it’s worth considering the idea of putting the washer and dryer in a bathroom. You may also want your bathroom to have an alcove or adjacent mechanical room for the water heater. How important is it to make a statement? My own advice: dial it back. You won’t be spending much time there. Editor’s note: GBA Prime subscribers can read comments posted on the behind-the-paywall version of this blog here: Bathroom Design. 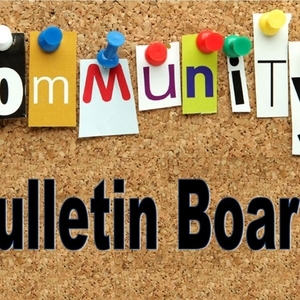 All GBA readers, including non-subscribers, are welcome to post comments below. 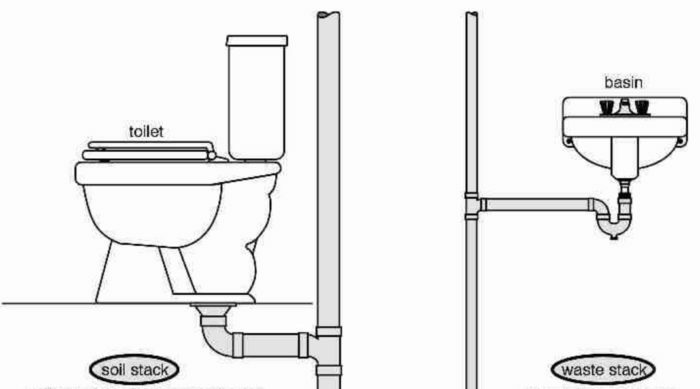 Don't forget blocking for grab bars, even if you don't plan to install them right away. Good point. I've edited the article to include your suggestion. Thanks. 1. 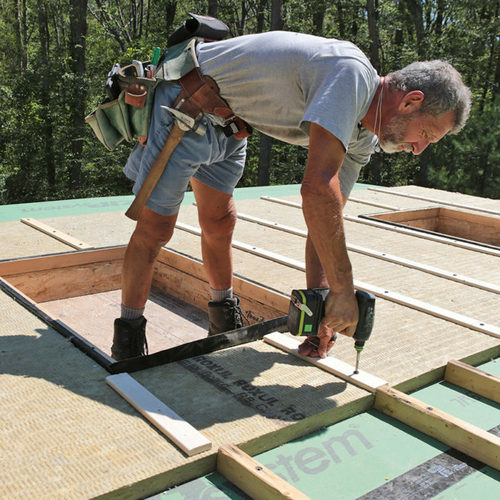 Install Thermoply against an exterior wall before tubs or showers are installed so wall cavities can be insulated. 3. Toilet closets need to have the doors swing to the outside, in case that someone falls on the floor or has problems getting up, can be helped. 4. Think Universal Design. You never know when its needed. 5. Include details on plans. Martin, do you know of a way to order lightning on demand? Every house, mine included, has a long list of needed improvements. Weekends are never long enough. I've invented a new person who will fix all my house's shortcomings. His name is Retired Martin. So when my wife asks, "When will you build that recycling area in the mudroom we've been talking about? ", I answer, "Oh, Retired Martin will be doing that job." If wall space allows, a pocket door works well in a bathroom. The door swinging into the room in the drawing can be awkward. Stephen, sometimes I think about all the floor area that would be freed up if all doors became pocket doors. I'd really like to see more of the little house in image #2. It looks like it has a lot in a little space. The other thing I'd like to see is a few other options for small bathrooms. I need to add one in a small house and an efficient design eludes me. 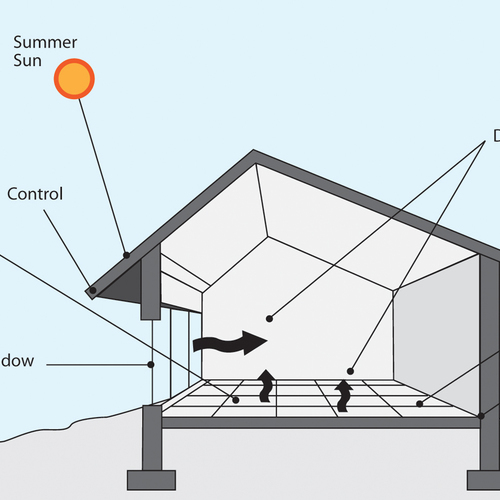 Simple Techniques for Lowering the Cost of Zero-Energy Homes. Zero Net Energy Production Builder Demonstration. Lucy: if you're adding a bathroom, presumably the house has one already, with a tub. Since most people take showers, not baths, one tub per house is usually enough and skipping the tub in the new bath gives you lots more room. 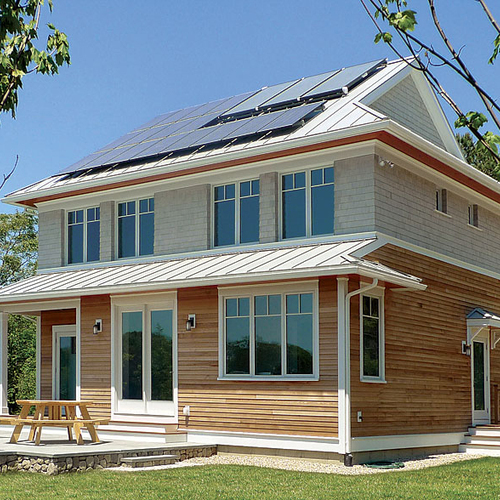 That's a great article on the zero net energy home. Thank you for the link. Stephen, I was planning on leaving out the tub. The house I'm referring to is a rental house I bought a few years ago. It's 900 square feet including a side that was a porch which is not very functional space. 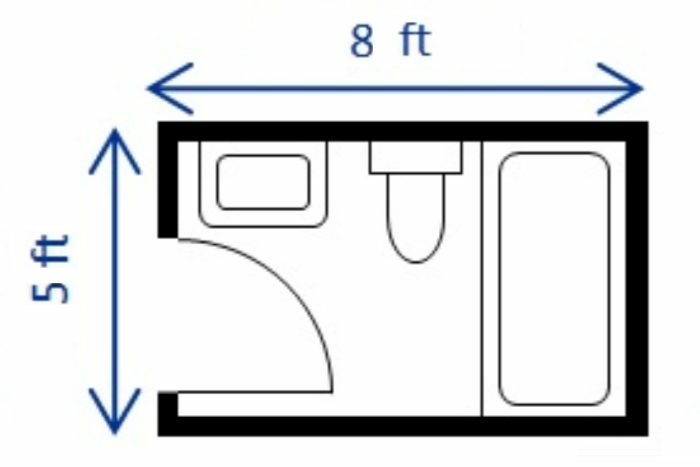 It's a bit of challenge trying to figure out how to add a bathroom and maintain an egress window in the bedroom that is the easiest to add on to. 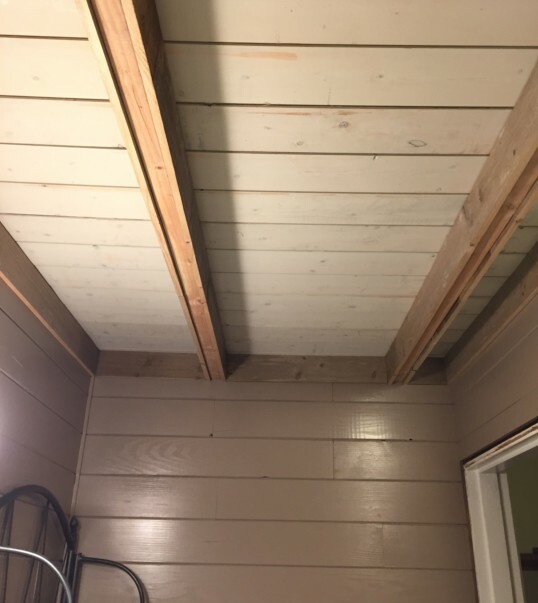 Martin- For most bathroom groups of fixtures, a 2" vent is adequate, so there is really no need for a 2x6 wall or a 4" stack behind the toilet. Interestingly (and often confusingly) the toilet itself does not require a vent at all (under the IPC). Vents are designed to protect traps from siphoning. 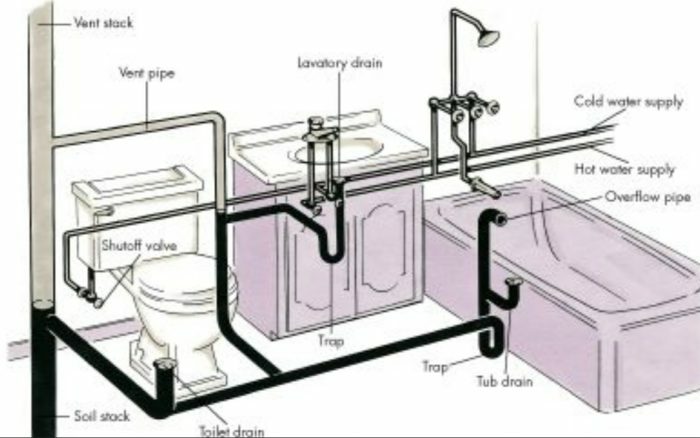 But in operation, the toilet's trap (which is built into the fixture) is explicitly designed to siphon! That violent siphoning action is what carries the solids away. After the trap siphons, the water in the toilet tank refills the trap to provide the block against sewer gases. In the regions served by (antiquated) plumbing codes that still require a toilet vent, the general rule is that the vent should be at least 1-1/4", but no less than half the diameter of the waste pipe served. 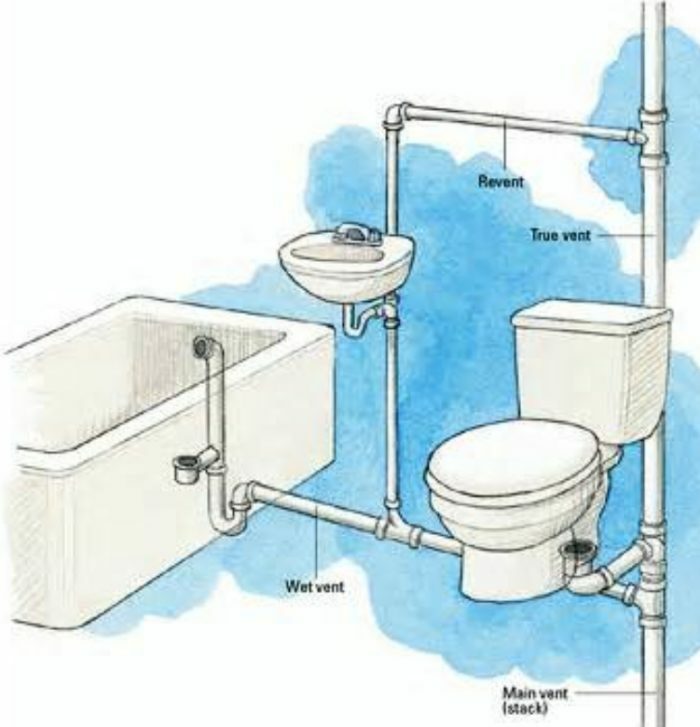 For the 3" waste pipe size found on most toilets, this means a 1-1/2" vent for that fixture alone. I appreciate the information you have shared. Assuming all the information you have shared is accurate -- and I have no reason to doubt it -- I've learned something. If any other GBA readers care to add information on how this part of the plumbing code is interpreted and enforced in their regions of the country, I'd be interested in hearing what they have to say. I've certainly worked in many homes that have an old-fashioned 4-inch vent stack in a 2x6 wall directly behind the toilet. In many cases, the ceiling is the largest single feature of a room. If the bathroom is smaller, you can spend a little more money / effort into making it something more than a flat white plane. The picture shows the end of our small bath. This is just an application over the flat sheetrock ceiling.